Tom Bark Kretsinger, Jr., 62, of Kansas City, Missouri, an attorney and the former president and CEO of American Central Transport, passed away, surrounded by family, on May 28, 2018 at his home in Liberty, Missouri after a long struggle with ALS/Lou Gehrig’s Disease. He was born December 12, 1955, in Kansas City, Missouri, the eldest son of Tom Bark Kretsinger, Sr. and Carolyn Trimble Kretsinger, named after his father and his great grandfather, Tom Burrow Bark of Sutherland, Iowa. Tom was raised with five younger brothers and two younger sisters on a 100-acre farm outside Liberty, MO about 1 1/2 miles north of Roosterville, MO. He completed grades one through six at Kearney Grade School, where he was known as "Bark," attended the two-room Walnut Grove Country School for 7th and 8thGrade and graduated from Liberty High School in 1974. In his youth, Tom was active in Boy Scouts and achieved the rank of Eagle Scout. At the age of 15, he joined the waterfront staff at H. Roe Bartle Scout Camp where he was inducted into the Tribe of Mic-O-Say as a hard way warrior "Shining Golden Eagle" and held the rank of Firebuilder. Tom also swam competitively and coached the Liberty Hills Country Club Swim Team. He graduated from William Jewell College in 1978 with a BA in political science. While at WJC, he was a member of the undefeated 1975-1976 swim team and was inducted into the WJC Hall of Fame. He was a member of the Kappa Alpha Order fraternity. Tom treasured lifelong memories of studying in England during his junior year at Harlaxton College near Grantham, Lincolnshire, UK, patronizing the Blue Pig, attending St. Wulfram's Anglican Church in Grantham and traveling across the British Isles and Europe. 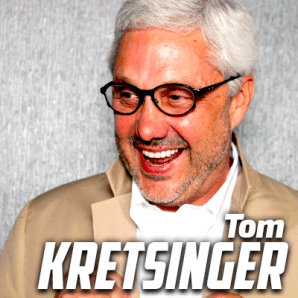 Tom earned a Juris Doctor degree in 1981 from the University of Missouri-Kansas City School of Law, following in the footsteps of five generations of family lawyers. He was admitted to the Missouri Bar, the United States District Court, the 8th Circuit Court of appeals, and argued several cases before the Missouri Supreme Court. He joined the law firm of Kretsinger & Kretsinger, P.C. in 1981, following his grandfather and father. He recalled his proudest moment as a lawyer was serving as a special prosecutor and successfully ousting a dishonest sheriff from office in a Quo Warranto trial and then defending that judgment in the Supreme Court. During his law career, Tom served as Secretary of the Clay County Bar Association, Chairman of the Clay County Republican Central Committee, Member of the Missouri Republican Committee, Chairman of the Liberty Architectural Review Committee, and Chairman of the Missouri Housing Development Commission. He was the Clay County Counselor from 1991 to 1997, and an instructor in William Jewell College's evening division for 24 years. In 1998, Tom left the practice of law and joined the family trucking firm, American Central Transport (ACT), as general counsel. He became president and CEO of ACT in 2006. During his career with ACT, Tom also held numerous leadership roles within the trucking industry. 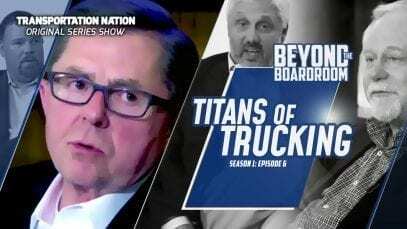 He was active in the American Trucking Association, having served on its Board of Directors, its Executive Committee, and as Chairman of the ATA Litigation Center. He was elected Chairman of the Truckload Carriers Association, after many years as an officer and a board member, and later received its Past Chairman's Award. He also served as Chairman of the Missouri Trucking Association, where he was awarded the Frank G. Campbell Award for Service to the Industry and made an honorary Board member. Tom was diagnosed with ALS on June 25, 2014. For almost a year and a half, he kept the knowledge of his diagnosis limited to only his family and his professional advisors, while he developed strategies for his estate and company succession. In December 2015, he publicly shared the news of his illness—first telling his employees, then his friends and the trucking industry. He continued to work for the business and his family as long as he could while dealing with his infirmity, always with an eye toward the future. Tom said that his biggest accomplishment was designing a team that could work without him. He was especially proud of a plaque given to him by the ACT drivers with the Trucker's Prayer. Tom worked to support the ALS Association’s Mid-America Chapter, serving as Grand Marshall of the Joe McGuff ALS Golf Classic and The Walk to Defeat ALS. In 2016, he was awarded their Tom Watson Award for Courage. More than anything, Tom loved his wife, Jo, his children, and the special relationship he enjoyed with his grandchildren. Of all the things he did in his full life, Tom enjoyed time with his grandchildren most of all. He loved giving them rides on his wheelchair and chasing them with it. An avid outdoorsman, Tom loved hunting deer, upland game and waterfowl, as well as fly fishing and fly tying. The deer, duck and pheasant mounts that decorated his den walls were favorites with his grandchildren. Tom had faith in God and wanted all his loved ones to know that although he hates to part with them, he did not fear death. In his own words he said, “I see death as just another adventure and I will see you again in heaven. I want my family and friends to view my passing with celebration not grief. Don't be sad, I am in good hands."